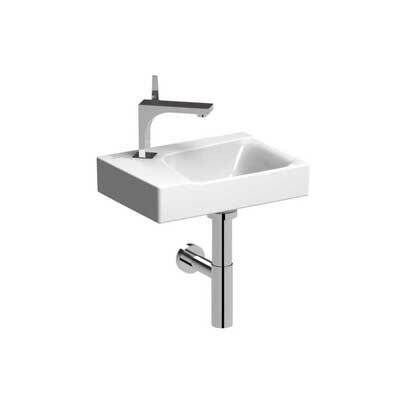 400 mm wide handrinse basin with a shelf space and one tap hole. No overflow. Shelf space and tap hole to left. Shelf space and tap hole to right.